PEUGEOT 207 1.6 16V RC - 07-16 PEUGEOT 207CC 1.6 TURBO - 06-16 PEUGEOT 207SW 1.6 TURBO - 07-16 PEUGEOT 3008 1.6THP - 09-16 PEUGEOT 308 1.6 160BHP 07-16 PEUGEOT 308CC 1.6 - 09-16 PEUGEOT 308SW 1.6 - 07-16 PEUGEOT 5008 1.6 - 09-16 PEUGEOT 508 1.6THP - 10-16 PEUGEOT 508SW - 10-16 PEUGEOT RCZ 1.6 16V - 10-16 CITROEN C4 -1.6 THP 155 - 09-16 CITROEN C4 COUPE - 1.6 THP 150 - 08-11 CITROEN C4 GRAND PICASSO - 1.6THP 150 16V - 08-16 CITROEN C4 GRAND PICASSO - 1.6THP 155 - 10-16 CITROEN C4 I - 1.6 THP140 - 08-13 C4 PICASSO I - 1.6 16V 08-13 C4 PICASSO I - 1.6 THP140 - 08-13 C4 PICASSO I - 1.6THP 155 - 10-13 C4 - 1.6 THP 155 - 09-16 CITROEN DS3 - 1.6 THP155 - 10-15 CITROEN DS3 -1.6 THP150 - 10-15 DS4 - 1.6 THP155 - 11-15 DS4 - 1.6 THP160 - 12-15 DS5 - 1.6 THP 155 - 11-15. Equivalent Part Numbers: PIERBURG: 7.02242.19.0, BMW: 1 251 055, 1 260 677, 13 31 1 251 055, 13 31 1 260 677, BMW MOTORCYCLES: 1 251 055, 1 260 677, 13 31 1 251 055, 13 31 1 260 677, WILMINK GROUP: WG1025822. MALTINGS TRADE CLUB MEMBERS RECEIVE FURTHER DISCOUNTS CALL FOR DETAILS!!!!!!!!!! TO BECOME A MALTINGS OFF ROAD TRADE CLUB MEMBER GIVE US A CALL OR VISIT OUR WEBSITE. BRAND NEW PIERBURG QUALITY IN TANK FUEL PUMP TO FIT ALL 3.0 td6 M51 BMW 6 CYL DIESEL RANGE ROVER L322 MODELS FROM 2002-2010. THIS IS LISTING IS FOR THE PUMP ALONE TO REPAIR AND SAVE THE COST OF THE FULL UNIT WFX000160. WFX000160 REPAIR PUMP. 12 MONTHS WARRANTY. ANY QUESTIONS CALL ANDY 01427 753394 WE DO ALL PARTS FOR ALL LANDROVERS BOTH PATTERN AND GENUINE AT VERY COMPETITIVE PRICES PLEASE CALL US ON THE PARTS LINE FOR ANY PART YOU MAY REQUIRE, WE ARE ALSO HAPPY TO GIVE ADVISE IF YOU NEED ANY. Equivalent Smart part numbers; Q0010690V004000000 (for reference). Box is missing fuel pump and spacer are new. To Fit: Smart City-Coupe/Fortwo 1998-2004 Petrol models.Up To Chassis Number: H500020. Equivalent Smart part numbers; Q0003412V014000000 (for reference). 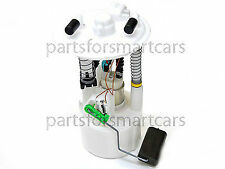 To Fit: Smart ForFour 2004-2006 1.1L, 1.3L and 1.5L Petrol Models. Equivalent Smart part numbers; A4544700094 (for reference). Part specifications. This is an original quality part manufactured by Pierburg. Equivalent Part Numbers. To Amperage:12 A. No longer available part from BMW. OEM part numbers 13311260677 and 13311251055. Audi A3 (8P1) 1.6 FSI Petrol (2003-2007). Audi A3 (8PA) 1.6 FSI Petrol (2004-2007). Skoda Octavia (1Z5) 1.6 FSI Petrol (2004-2008). Skoda Octavia II (1Z3) 1.6 FSI Petrol (2004-2008). VW EOS (1F7, 1F8) 1.6 FSI Petrol (2006-2008). Citroen Xsara Picasso 2.0 HDi 1999 - 2007. Belt Tensioner Wheels & Bkts. Suspension Ball Joints. Windscreen Wiper Blades. Any claims after 24 hours cannot be accepted. Rear Lights. Front Exhausts Cats. Current strength to [A]: 12. Estimates can be provided beforehand but prices may differ upon ordering. PIERBURG 7.00468.23.0 can be used in car models. PIERBURG 70046823. PIERBURG 700468230. ­04.06 - 07.09. not for type: 211.290. not for type: 211.272. not for type: 211.090. not for type: 211.072. ­10.03 - 07.09. ­03.05 - 07.09. ­07.03 - 07.09. VW 2D0 919 051A. Pressure [bar] : 3.5. Number of connectors : 1. OE Numbers. VW 4B0 906 087BB. VW 4B0 906 087AT. VW 4B0 906 087AN. OE Numbers. CITROEN C3 Mk1 1.4 Fuel Pump 2013 on Pierburg 1525RG. CITROËN 1525RG. PIERBURG 7.05656.60, 70565660, 7.05656.60.0, 705656600. CITROËN C3 I (FC_, FN_) 1.1 i Hatchback Petrol 02/2002 on FWD 8 60 44. CITROËN C3 I (FC_, FN_) 1.4 i Hatchback Petrol 02/2002 on FWD 8 73 54. Part specifications. This is an original quality part manufactured by Pierburg. Equivalent Part Numbers. To Amperage:11 A.
Mitsubishi Carisma. In Tank Fuel Pump. 1.6 1.6v 1.8 16v GDi 1.8 GDi 1996 - 2006. Belt Tensioner Wheels & Bkts. Suspension Ball Joints. Windscreen Wiper Blades. Any claims after 24 hours cannot be accepted. Rear Lights. Front Exhausts Cats. Current strength to [A]: 5. Estimates can be provided beforehand but prices may differ upon ordering. Fiat UNO (146_) 75 i.e. 1.5 Petrol (1985-1993). Fiat UNO (146A/E) 1.3 Turbo i.e Petrol (1985-1989). Fiat UNO (146A/E) 1.3 Turbo i.e Petrol (1987-1987). Fiat UNO (146A/E) 1.3 Turbo i.e Petrol (1989-1991). We just want you and your car to be happy! You'll have the part ASAP. We will always attempt to rectify the issue as fast as possible! Eg, Vetech, Erst Klassig, Franzen, NK, etc. With this in mind, we will indicate what type of product you are looking at within the following guidelines. Photo of actual item. Fits Peugeot 605 1989- 1999. Belt Tensioner Wheels & Bkts. Suspension Ball Joints. Windscreen Wiper Blades. Any claims after 24 hours cannot be accepted. Rear Lights. Front Exhausts Cats. Current strength to [A]: 11. Estimates can be provided beforehand but prices may differ upon ordering. This is an original quality part manufactured by Pierburg. 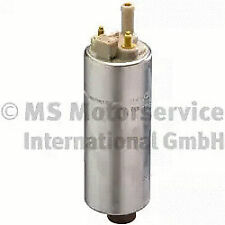 PIERBURG Fuel Pump BMW X5 LAND ROVER RANGE 7.50138.00.0 Genuine. 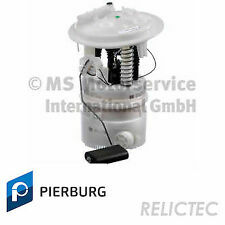 PIERBURG FUEL PUMP - 7.28303.60.0. FITS AUDI A3: SPORTBACK AND CONVERTIBLE (1996-2010). This is an original quality part manufactured by Pierburg. Part specifications. Equivalent Part Numbers. KHD 0417 1636. OE Numbers Technical Information Number : SI 1064. Technical Information Number : SI 0097. Technical Information Number : SI 0080. Technical Information Number : SI 0058. Technical Information Number : PI 0034. Fuel Feed Module Unit. This information is direct from the part manufacturer, we do not own this data and cannot confirm it's accuracy or edit the data. Engine Code: Z 13 DT,Y 13 DT. Engine Code: Z 13 DT. AUDI 056 127 025C. AUDI 056 127 025B. AUDI 056 127 025A. AUDI 8E0 906 087P. AUDI 8E0 906 087N. OE Numbers. Belt Tensioner Wheels & Bkts. Suspension Ball Joints. Windscreen Wiper Blades. Any claims after 24 hours cannot be accepted. Rear Lights. Front Exhausts Cats. Estimates can be provided beforehand but prices may differ upon ordering. VW 8A0 906 091 G. VW 8A0 906 091 A. OE Numbers Technical Information Number : SI 0018. Belt Tensioner Wheels & Bkts. Suspension Ball Joints. Windscreen Wiper Blades. Any claims after 24 hours cannot be accepted. Rear Lights. Front Exhausts Cats. Minimum 12 Month Warranty. Current strength to [A]: 12. To Fit: Smart ForFour 2004-2006 1.5L Brabus Models Only. Equivalent Smart part numbers; A4544700294 (for reference).